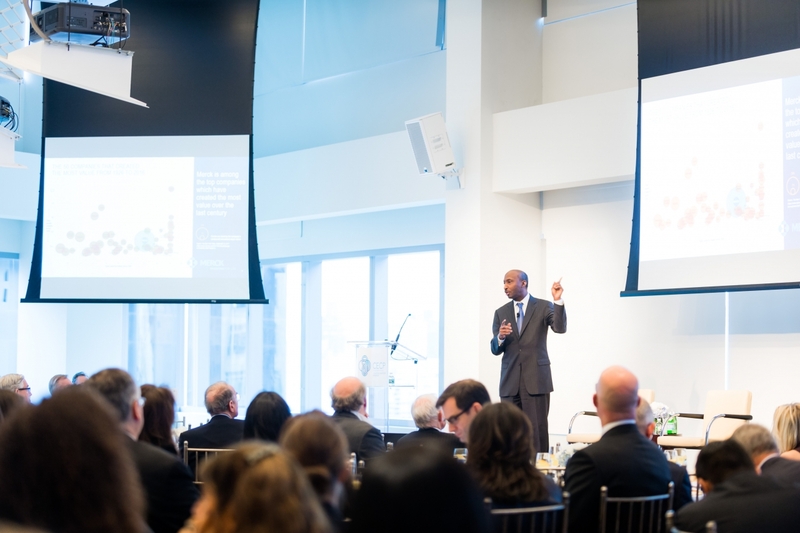 Ken Frazier, CEO of Merck, presents at CECP's CEO Investor Forum 3.0 on 02/26/18. Merck & Co. CEO Kenneth Frazier spoke at the CECP's CEO Investor Forum in February, stressing the importance of creating long-term value. He said this comes from considering the desires of all stakeholders, not just investors. He oversaw the creation of a corporate responsibility matrix of these desires and their potential impact on success, and has used it to help guide big-picture strategy.